Learn more about Techno Goober’s commitment to supporting non-profit organizations. Create a custom non-profit website for connecting with volunteers, collecting donations, and advertising events. 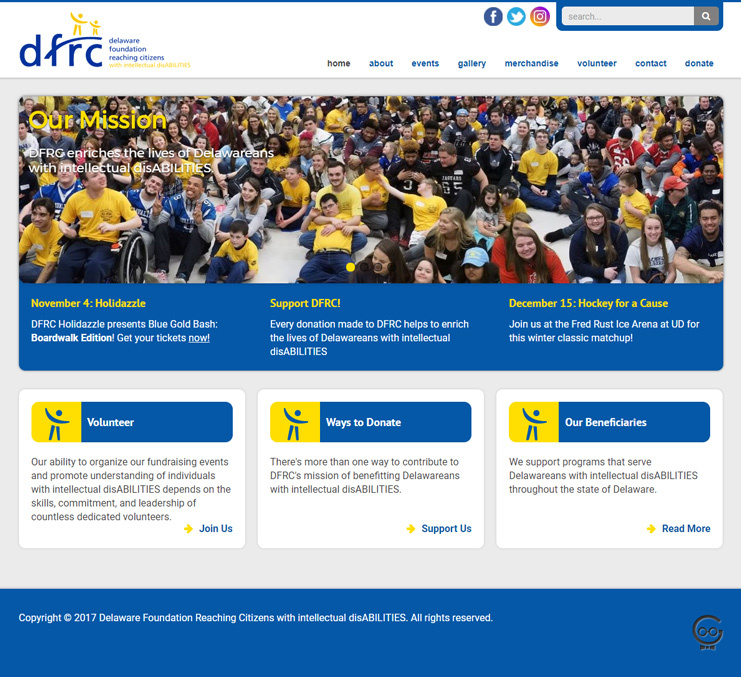 The DFRC website has a custom application form for volunteers, a secure donation form, and a custom display for their major events & fundraisers.